Most NAS hard drive data recovery cases are completed in 24-36 hours of receipt of the drives. This includes NAS Raid Array data recovery cases.Raid Array data recovery cases. Data Management has become a crucial part of every Corporation and small Businesses infrastructure. A comprehensive Data Management Plan should define how the data will be archived and stored and who will have access to the data. These are the most import parts of a Data Plan as approximately 44% of all Data Loss is a result of Hardware Malfunctions or Failure and about 32% of Data Loss or Corruption is a result of human error. The most critical part of preventing a Data loss Disaster is implementing the proper data storage devices needed for your business needs. Your data storage devices may include off site Cloud Storage, NAS (Network Attached Storage) data Storage, External or Internal HDD data storage or Sever Storage utilizing Raid Array Volumes. The best prevention of a data loss disaster is to have current multiple backups of your data. In the event that you do have a mechanical or software failure of one of your storage devices, DO NOT attempt any type of recovery, repair or Raid rebuild without a having a current and complete copy of your data. Your best course of action is to shut the Storage device down to prevent any further loss or corruption of your data. Call US Data Recovery and speak to one of our techs concerning the safest method of data recovery for your specific device. US Data Recovery provides Forensic Imaging and eDiscovery for Law Enforcement, Legal Firms, Corporations, Business and private individuals for Criminal and Civil litigations. We provide Forensic imaging and eDiscovery with certified MD5, SHD1 and SHD 256 hashes for all electronic NAS data storage devices including? SATA Hdds, SAS Hdds, SCSI Hdds, IDE, Hdd and SSD Drives. We also provide eDiscovery and Forensic NAS Imaging for External HDDs, SAN Storage Servers, NAS raid Servers, DAS Storage Servers, Raid Arrays, Flash USB storage, IPhone and Android phones and DVR Surveillance hard drives. DataRecoveryNAS.com provides Worldwide home users, business users and Worldwide corporate users data recovery for all makes and models of NAS servers. NAS servers are small data storage servers using proprietary files systems which are connected thru the network for file sharing. NAS drives are generally configure in a Raid 5 array. Data loss and data corruption can occur at any time with NAS raid array drives. The most common NAS data recovery issues come from failure of one or more hard drives in the array, multiple sector failures on one or more drives or read errors which result in the failure to access the data. Corrupted firmware generally occurs when the external drive is dropped while running or unplugging the drive before a read and write operation is completed. Either recovery cases will cost our same Flat rate price. We recommend , when using any NAS device or other Raid system , that you maintain multiple independent backups of your data. All hard drives will fail as well as every raid array configuration. We provide Worldwide residents and business data recovery for all NAS Servers including: Thecus NAS, Iomega Nas, Iomega StorCenter, Seagate FreeAgent GoFlex Net STAK100, Seagate BlackArmor Network Attached Storage, GoFlex Home Network Storage System, FreeAgent GoFlex Net Media Sharing Device, FreeAgent DockStar , My Book Live NAS, WD Sentenial, WD My Cloud, WD NAS, San Digital NAS, AccuNas, LaCie NAS, TeraStation Pro, Seagate BlackArmor NAS, Seagate Business Storage, Linksys Nas, Buffalo Technology,D-Link NAS, Qnap NAS,GMG NAS, HP Media, Buffalo NAS, LG Electronics, Kanguru NAS, Isilon NAS, MicroNet NAS, MPC Computers, MRT NAS,NEC, Netgear, NetApp NAS, Ocarina NAS, Open-E NAS, DroboPro, CineRaid, CineRaid 6gEditPro, Drobo, DroboShare, D-Link DNS-343,Systamax, Synology, Supermicro, Promise Technology, Sans Digital, SGI NAS, Sonic Wall NAS,SMC NAS, Proware NAS, PLX Technology NAS, Plextor NAS, Pillar Data Systems NAS, Philips NAS, Panasas NAS, Overland Storage, Snap Expansion S50,Snap Server® 210, Snap Server® 410,Storango SSTE-1NAS00,Storango SSTE-2NAS10,Storage Central, ReadyNAS Duo, ReadyNAS NVX, ReadyNAS NV+, ReadyNAS Pro Pioneer, TEAC NAS, Tranquil NAS, Trendnet NAS, T-Com LenovoEMC NAS, Lenovo ix4 NAS, Seagate Business Storage. in addition to all other Raid NAS Servers. In addition to providing Worldwide external data recovery, we also provide Server data recovery, Raid Data recovery, Nas Data Recovery, SAN data recovery, SSD and Flash Drive data recovery, Iphone and Android recovery, Laptop drive recovery, Desktop recovery for all our Worldwide business user and home user clients. Raid Hard Drive configuration RAID (Redundant Array of Independent Disks) is the combining of two or more hard drive working in unison to gain greater levels of performance, redundant reliability, and or to create a larger hard drive volume sizes. In the past this type of configuration was generally used only by large companies. Today, many small business and home users are finding an ever increasing need for servers and mass external storage devices to store there ever expanding data needs. When multiple raid configured hard drive arrays fail, special software and hard were is needed to successfully recover your data. DataRecovereyNAS.com uses the latest hardware and software technologies to recovery multiple raid array hard drive failures. DataRecovereyNAS.com provides Worldwide Raid Data recovery and NAS Data RECONSTRUCTION for servers, workstations, network storage devices and usb mass storage devices configured in Raid 0 , Raid 1, Raid 1-0, Raid 5, Raid 5 E, Raid 5 EE. We provide data recovery for SCSI, IDE, Sata and ESata hard drives that have been configured in any Raid Array. DataRecovereyNAS.com provides worldwide Raid NAS Data Recovery, Raid Array NAS Data RECONSTRUCTION, Raid Server Data Recovery, Raid Network Attached Storage NAS Data recovery and USB Mass Storage Raid NAS Data Recovery. When multiple raid configured hard drive arrays fail, special software, hardware and knowledge is required to successfully recover and reconstruct your data. DataRecovereyNAS.com understands the importance of your electronic data and the need to keep your business network operational. Our technicians have a combined 57 years experience in raid NAS Data recovery, raid array configurations, NAS Data RECONSTRUCTION, raid controllers, server installation and maintenance. DataRecovereyNAS.com maintains two Facilities. The first is located in the Tampa Bay Metro area and the second in the Washington, D.C. Metro area. Although the majority of our Raid NAS Data Recovery and NAS Data RECONSTRUCTION services are handled at one of our two facilities, via use of overnight Fed-x, UPS, Purolator or DHL, our technicians are available for on site Data Recovery for special need cases. US-DataRecovery- offers Raid NAS Data Recovery and NAS Data RECONSTRUCTION services Worldwide for crashed or corrupted Raid configured hard drives, Raid server hard drives, USB External hard drives and Network Attached Storage NAS hard drives. Data recovery is available on site in the Tampa Bay Metro and Washington, D.C. Metro areas. Our Technicians are also available worldwide for on site raid data recovery for special need cases. Raid Array NAS Data RECONSTRUCTION Recovery from hard drives configured in Raid 0, Raid 1, Raid 1 – 0, Raid 10, Raid 3, Raid 4, Raid 5, Raid 6, ZFS Raid Raid 5e, Raid 5ee, raid 15, Raid 6E, Raid 1.5, Raid 7, Raid-DP, Raid S, Matrix Raid, Raid-K, Raid-Z, Raidn, Linux MD 10, IBM ServeRaid 1E, unRaid, Drobo BeyondRaid. Wintec SSD Hard drive . Recovery or repair of corrupted Exchange server Data base files should never be attempted from the original hard drive or raid array without having a verified complete back up of the original files. Attempting to repair a corrupted MS Exchange data base with third party software can result in permanent loss to the data. Call one of our techs to discuss the safest possible recovery of your Exchange Database. DATA RECOVERY OF images from deleted or reformatted Compact Flash, Smart Media, Memory Sticks and other media storage cards Including the following extensions: TIFF, EXIF, JPEG, GIF, JPG, BMP, PNG and more. Enterprise Raid Server Sas Hard drives ( Serial Attached SCSI) are enterprise hard drives generally used in Servers and NAS Devices in conjunction with raid controllers. A select few motherboards now have allow SAS drives to connect directly to the motherboard. The drives spin at 10,000 and 15,000 rpms allowing for faster read and write cycles. As with their SCSI predecessors, successful data recovery of SAS drives require advanced data recovery hardware and software. We use the latest advance hardware and software for all of are data recovery cases. Raid Server Data Recovery : We provide Raid Server Data Recovery for all Server makes and models. I addition to Raid Array data recovery for Raid Servers, we also provide raid data recovery for all makes and models of NAS Raid appliances, SAN Servers and External and Internal Raid Arrays. Generally most raid array recoveries are completed within 24 hours of receipt of the drives. As with our individual hard drive data recovery, we follow a prescribe methodology for raid array recoveries from Raid Servers, San Servers, NAS Devices, Internal and external raid arrays. Each Drive is examined to determine any problem with that drive. If a logical or hardware issue is discovered it is corrected so as to make the drive mountable. Each mountable drive is than Forensically imaged to one of our Enterprise SATA drives. Our Advanced Forensic Imaging devices have two advantages over other imaging software and hardware. Our Imagers have the fastest data transfer rates available. Our Forensic hardware and software has the ability of reading multiple bad sectors and recovering those sectors to the recovery drive. This leads to a greater data recovery success rate when dealing with bad sector issues. The Imaged drives are than mounted on one of our Raid Recovery workstations, where our engineers will determine the parameters of the raid array, reconstruct and de-strip the array, which is then copied to another drive. Although we do not promote the use of large volume raid arrays, we will recovery any raid array, no matter the size the drives nor the number of drives used in the array. If you are contemplating constructing a large volume array call and talk to one of our engineers to learn the inherent problems and failure rates of large volume raid arrays. Our goal is the complete recovery your data without causing more loss or corruption to the failed drives. We therefore DO NOT perform data recovery over the Internet nor over a Network. We WILL NOT perform data recovery from a source drive, active Server, Workstation or NAS Device. All of these methods present a high risk of data loss or data corruption. For more information concering recovery from Raid Servers, SAN Servers, NAS Devices, Internal raid arrays or external raid arrys call and speak to one of our raid recovery engineers.
. We Provide advanced SAS data recovery for all makes and models of enterprise SAS drives including: Seagate Hard Drives, Samsung SAS Hard Drives, Hitachi SAS hard drives, Toshiba SAS hard drives, IBM hard drives, Fujitsu hard drives, Sun SAS, IBM SAS, Seagate SAS, Hitachi SAS, Fujitsu SAS, HP SAS, HDS, Dell SAS, Lenovo SAS, LSI SAS, NetApp SAS. SAS hard drives ( Serial Attached SCSI ) replace the older SCSI drives. The advantages of the newer SAS drive over the SCSI drives are faster transfer rates and the ability to connect with more drives. SCSI drives have a limitation of communicating with more than 16 SCSI drives where the new SAS drives can communicate with more than 65,000 other SAS Drives. SAS drives are generaly used in Enterprise servers, SAN Servers and enterprise workstations. We Also provide Advanced Enterprise NL-SAS ( Nearline SAS) data recovery for all makes and models of NearLine SAS Hard drives including Seagate Constellation NL-SAS, Hitachi NL-SAS, Fujitsu NL SAS, Dell NL-SAS, HP NL SAS and more. NL-SAS Drives are Enterprise SATA drives using a SAS controller and generally run at 7200 RPM. We provide SATA SAS data recovery for all NL-SAS Drives weather used in A SAN server, Enterprise Server, NAS server, External Storage device or internal SAS Connection. SATA SAS Data Recovery configured in SATA SAS Raid 1, SATA SAS Raid 0, SATA SAS Raid 5, SATA SAS Raid 6, SATA SAS Hybrid Raids, SATA SAS Raid 10 , SATA SAS Raid 01, SATA SAS Raid 05, SATA SAS Raid 50, SATA SAS Raid 60, Data on all raid arrays other that raid 1 are striped across the drives in the array, Once each drive has been forensically imaged, the raid array is reconstructed from the imaged drives. De-striping data recovery is the preformed on the array and the data is then reconstructed into single file format. The data files then can be copied to a single drive. Whether a raid 5 data recovery, raid 6 recovery, raid 50 recovery or raid 10 data recovery, de-striping data recovery is conducted on each array. . Our most recent SAS Raid Recovery was from a Dell server with 2 500 gig SAS hard drives. The array was running Win Server 2008 with 5 virtual Linux servers. Drive 0 had damaged platters and Drive 1 had over 98,000 bad sectors. Our forensic imaging equipment was able to recover all the data from all sectors including the bad sectors. All the data was completely recovered including the virtual machine data.<br><br>Recovering data from a failing hard drive is not advisable. Attempting to do so can result in complete loss of your data. If your hard drive is slow to access, slow to copy data to or from or folder that are not accessible or empty all indicate that the drive is falling. The best coarse of action is to shut the drive down and call one of our data recovery Techs. All hard drives are Forensically imaged for any data recovery services. Our Forensic Imaging hardware has a unique ability to recover bad sectors. Few imaging devices or software can deal with massive sector failures. Our hardware is adjustable for multiple attempts to read bad sectors resulting in a very high success rate of recovering data from those sectors. Multilpe attempts to read bad sectors with our hardware will not shut down the hardrive due to bad sector limitations of the SMART feature of the Hard Drive. Forensic imaging is the byte by byte imagining of every sector of the client hard drive. We have successfully recovered many hard drives with over 800,000 plus bad sectors. We provide Forensic Data Recovery and Forensic data imaging of all make and models of hard drives, raid arrays, flash drives, micro hard drives. Forensic imaging , byte by byte imaging of each sector allows for the most complete recovery of all data, including previously delete and fragmented remnants. We use the most advance Forensic hardware and software for hard drive imaging and Forensic data recovery. We maintain a Class 100 Clean Room data recovery environment for platter exchange required for failed or seized drive motors. Head exchange data recovery for failed hard drive reading heads is also preformed in a Class 100 clean room data recovery environment. Head Platter stuckation data recovery is also preformed in a Class 100 clean room station. We provide Forensic Data Recovery and Forensic data imaging of all make and models of hard drives, raid arrays, flash drives, micro hard drives. Forensic imaging , byte by byte imaging of each sector allows for the most complete recovery of all data, including previously delete and fragmented remnants. We use the most advance Forensic hardware and software for hard drive imaging and Forensic data recovery. Forensic Raid Array Imaging, Forensic SATA SAS Raid imaging, Forensic external drive imaging, Forensic hard drive imaging. We Provide Enterprise Raid Data Recovery for our Corporate Raid Data Recovery Clients, Business Data Recovery Clients and our Home User NAS SAN data recovery Clients.We provide Home Data Recovery for all personal hard drives, external drives, raid arrays, Flash Drives and NAS Devices. We have a simple Flat Rate data recovery price based on the drive size. We have no other charges other than overnight return shipping if required by the client. Our flat rate data recovery price is generally 50 to 60 % below our competitors. Weather your drive requires a Level 1 recovery, Level 2 Recovery or a Level 3 Recovery the price remains the same low rate always. We provide Enterprise SATA SAS Data Recovery - Corporate SATA SAS Data Recovery - Home User SATA SAS Data Recovery - Business SATA SAS Data Recovery for all makes of SATA SAS drives worldwide. We provide Business SATA SAS Data Recovery for our small business Clients for all SATA, SAS, SCSI and IDE Drives as well as NAS appliances, SAN Servers, Raid Servers. Our SATA SAS Business Data Recovery Pricing is the same low flat rate data recovery price as our Home SATA SAS Data Recovery Service. We also Offer Enterprise SATA SAS data Recovery and Corporate Data Recovery for large Corporations, Law Firms, Universities, Military, Police Departments, Home Land Security and other Government entities. Our Corporate Data Recovery pricing is exactly the same low FLAT Rate price as with our Home Data Recovery, Enterprise Data Recovery and Business data recovery Services. We do offer discounts to individual active military, police and fire personnel. We provide Enterprise Data Recovery for all hard drives, external drives, raid arrays, Flash Drives , Raid Servers, SAN Servers and NAS Devices. We have a simple Flat Rate data recovery price based on the drive size as with our Home, Business and Corporate Data Recovery Services. We have no other recovery charges other than overnight return shipping if required by the client. Our flat rate data recovery price is generally 50 to 60 % below our competitors. Weather your drive requires a Level 1 recovery, Level 2 Recovery or a Level 3 Recovery the price remains the same low rate always. We provide Enterprise SATA SAS Data Recovery - Corporate SATA SAS Data Recovery - Home User SATA SAS Data Recovery - Business SATA SAS Data Recovery for all makes of SATA SAS drives worldwide. Our Data Recovery Services include data recovery of all makes and models of External Hard Drives. We provide External Hard Drive data recovery for Seagate External hard drives, Maxtor external drives, Western Digital external hard drives, Hitachi External drives, Fujitsu external drives, Samsung external hard drives and Toshiba External hard drives. All other external hard drive brands will contain on of the above listed drives, including LaCie external drives, Iomega external drive, Buffalo Technology external Drives, Fantom and AData external hard drives. Dell hard drives, HP hard drives and Macintosh hard drives will also be one of the major brand SATA SAS hard dives using their own label. The most common external hard drive data recovery issues come from corrupted firmware modules or motor spindle seizure. Corrupted firmware generally occurs when the external drive is dropped while running or unplugging the drive before a read and write operation is completed. Spindle seizure usually occurs when the external drive is knocked over or dropped. This type of data recovery will require a Platter exchange and a clean room recovery. Either recovery case will cost our same Flat rate price. We recommend , when using an external drive, that you lay all stand up external drive flat on your desk to reduce the chance of the external drive being knocked over. We Provide NAS Raid Data Recovery for all makes and models of NAS Servers and SAN Servers. We provide raid data recovery for the following makes of NAS appliances : Thecus NAS, Iomega Nas, WD NAS, San Digital NAS, AccuNas, LaCie NAS, TeraStation Pro, Seagate BlackArmor NAS, Linksys Nas, Buffalo Technology,D-Link NAS, Qnap NAS,GMG NAS, HP Media, Buffalo NAS, LG Electronics, Kanguru NAS, Isilon NAS, MicroNet NAS, MPC Computers, MRT NAS,NEC,Netgear, NetApp NAS, Ocarina NAS, Open-E NAS, DroboPro, Drobo, DroboShare, D-Link DNS-343,Systamax,Synology, Supermicro,Promise Technology, Sans Digital, SGI NAS, Sonic Wall NAS,SMC NAS, Proware NAS, PLX Technology NAS, Plextor NAS, Pillar Data Systems NAS, Philips NAS, Panasas NAS, Overland Storage, Snap Expansion S50,Snap Server® 210, Snap Server® 410,Storango SSTE-1NAS00,Storango SSTE-2NAS10,Storage Central, ReadyNAS Duo, ReadyNAS NVX, ReadyNAS NV+, ReadyNAS Pro Pioneer, TEAC NAS, Tranquil NAS, Trendnet NAS, T-Com in addition to all other Raid NAS Servers. We also provide SAN Raid Data Recovery for all makes and models of SAN Servers Including: Qnap, Sans Digital, Drobo SAN, Open E, ISCSI SAN, DS Dapron, Raid, Inc, Spectron, BrightDrive, Drobo San, HP LeftHand SAN, IBM San, Snap SAN, D-Link, Fluke Network, EMC Cluster, NetWitness SNC, Thecus SAN Server, Silicon Mechanics and all other makes of SAN Servers. We provide raid server data recovery for all Dapron NAS, SAN and DAS Servers including: DS6614 Integrated Blade Chassis, DS6601 Compute Blade , DS6608 Virtual Machine Cluster Blade , DS6607 VM Manager Blade , DS2240 IP Storage Server, High Performance IP Storage Server. We provide raid server data recovery for all NetApp NAS, SAN and DAS Servers including: FAS6200/V6200 SErIES, FAS3200/V3200 SErIES, FAS2200 SErIES, NetApp R200 NearStore , E5400 E2600 and NetApp VTLNetApp. We provide raid server data recovery for all Dell NAS, SAN and DAS Servers including: Dell Compellent, Dell EqualLogic, Dell NX 35XX, MD3 Family of Arrays, Dell EqualLogic PS Series and FS Series, PowerEdge Blade Servers, PowerEdge Tower Servers, PowerEdge Rackmount Servers, PowerVault NAS Servers, PowerVault. We provide raid server data recovery for all HP NAS, SAN and DAS Servers including: HP Disk Enclosures, HP BladeSystem Storage Blades, HP 3PAR StoreServ 10000 Storage, HP 3PAR StoreServ 7000 Storage, HP 3PAR StoreServ 7450 Storage, HP StoreEasy 1000 Storage, HP StoreEasy 3000 Gateway HP StoreEasy 5000 Storage,HP XP 9000 Storage, HP EVA 6000 Storage,HP StoreVirtual 4000 Storage, HP MSA P2000 Storage, HP MSA 2040 Storage, HP StoreOnce 2620 iSCSI Backup, HP StoreOnce 2700 Backup, HP StoreOnce 4210 FC Backup, HP StoreOnce 4210 iSCSI Backup, HP StoreOnce 4220 Backup, HP StoreOnce 4420 Backup,HP StoreOnce 4430 Backup, HP StoreOnce 4500 Backup, HP StoreOnce 4700 Backup, HP StoreOnce 4900 Backup,HP StoreOnce B6200 Backup,HP StoreOnce 6500 Backup, HP StoreAll 8800 Storage.HP StoreAll 8200 Gateway,HP StoreAll 9000 Storage, HP StoreAll 9300 Gateway Storage. We provide raid server data recovery for all EMC NAS, SAN and DAS Servers including: Avamar, DD160,600,860, DD890/990, Isilon, VNXe, VMAX 40K, 20K, 10K, VNX 7500, VNX 5700, 5500, VNX 5300, VNX 5100.DS 88XX. e provide raid server data recovery for all SGI NAS, SAN and DAS Servers including: SGI OmniStor, SGI InfiniteStorage Gateway, SGI NAS, SGI ICE X, SGI InfiniteData Cluster, SGI Rackable, SGI UV, StoreAll 9300 Gateway Storage..
All hard drives are Forensically imaged for any data recovery services. Our Forensic Imaging hardware has a unique ability to recover bad sectors. Few imaging devices or software can deal drives, micro hard drives. Forensic imaging , byte by byte imaging of each sector allows for the most complete recovery of all data, including previously delete and fragmented remnants. We use the most advance Forensic hardware and software for hard drive imaging and Forensic with massive sector failures. Our hardware is adjustable for multiple attempts to read bad sectors resulting in a very high success rate of recovering data from those sectors. We have successfully recovered many hard drives with over 800,000 plus bad sectors. We provide Forensic Data Recovery and Forensic data imaging of all make and models of hard drives, raid arrays, flash data recovery. With our Raid Data Recovery services, each drive from the raid array is forensically imaged. The raid array is then reconstructed from the imaged drives. This results In a higher rate of success of data non loss due to file corruption from multiple bad sectors. Nothing will be altered on the original drives from the raid array. Forensic imaging is done on all SAS drives, SATA drives, SCSI drives and IDE drives from all raid servers, NAS severs, San Servers and external and internal raid arrays. We maintain the Imaged drives for 15 days after return shipment of your data, The images are s stored on individual drives, never on a server, so that your data is totally secure. The imaged drive are then securely erased to DOD standards. Our Data Recovery services provide NAS, SAN, DAS, and Server data recovery and data reconstruction for corrupted files and databases. We provide NAS, SAN, DAS, and Server Email Database REPAIR, RECONSTRUCTION, RECOVERY for: Share point Server recovery and repair, Exchange Server recovery and repair, MySql recovery and repair, MSSQL recovery and repair, Outlook PST recovery and repair, Mailbox Exchange recovery and repair, Outlook Express recovery and repair, Deleted Email recovery and repair, Lotus Notes Recovery and repair, Etourage recovery and repair Lost or corruption of Microsoft Exchange database files can occur for many reasons. File corruption can occur from a server crash, hard drive failure, raid array failure, virus attack or other software component corruption. The best prevention of an exchange database loss is to have current redundant verified back ups of all the Exchange .MDB (Priv1.edb and Pub1.edb) and associated .STM files. If a corruption occurs do not attempt to repair these files with 3rd party software from the original source as this may further damage the files and result in permanent loss. Our engineers have a combined 37 years of experience with deployment and recovery of server based software applications. We follow a prescribed procedure of recovery and reconstruction from forensic images of your drive or array. Once your exchange files are recovered from our images our engineers then reconstruct the mail box structures. 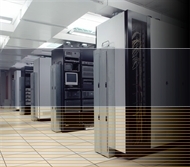 We understand the urgency of having you Exchange Server up and running. Without your email, contacts and calendars many companies would come to a complete halt. We always treat every Exchange Server as a priority and immediately begin the recovery process when your drives arrive. Our commitment is to reconstruct your Exchange files and have them back to you as soon as possible. We have no up charge for priority service. Most Exchange Server files are reconstructed within 12-36 hours upon receipt. Storage Area Network SAN is a high speed network of storage devices (generally raid arrays) that connects those storage devices to servers. SAN devices provide block level storage for servers. Used primarily for sorting Data Bases that require fast access such as email data bases, they are not generally used for file storage. We provide SAN data recovery for all SAN devices and Virtual SAN Appliances. We provide Forensic Data Recovery and Forensic data imaging of all make and models of SAN hard drives and raid arrays. US Data Recovery provides Advanced Raid Server Data recovery for any Enterprise SAN servers. tments not to attempt to rebuild failing raid arrays or replace a failed drive in a raid array without having a complete backup of all data contained in the array. Attempting to rebuild a failing raid array or replacing a failed drive, using the original drives can result in partial or complete loss of the data. We also provide United States Business User Business User raid Data Recovery, Canada Business User raid Data Recovery, South America Business User raid Data Recovery and Caribbean Business User raid Data Recovery for laptop top and workstation hard drives. We also provide United States Corporate user raid Data Recovery, Canada Corporate user Data Recovery, South America Corporate user Data Recovery and Caribbean Corporate user raid Data Recovery for laptop top and workstation hard drives.